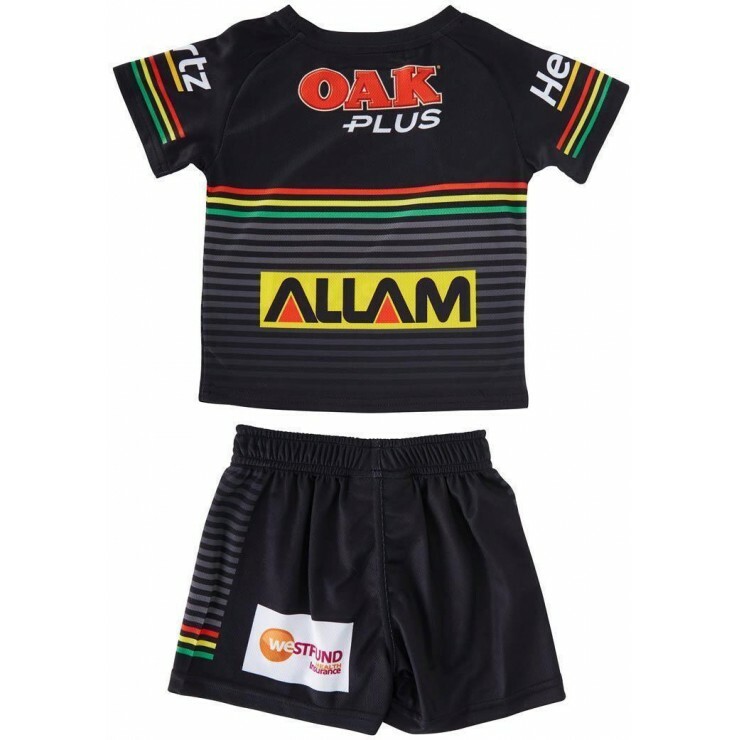 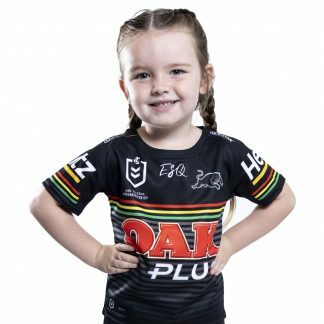 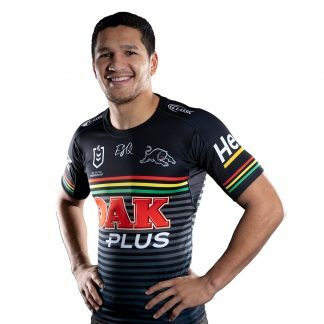 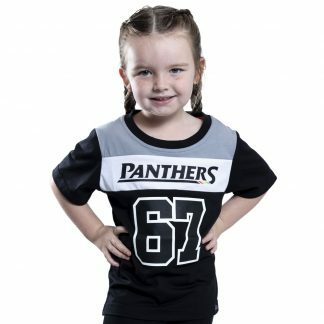 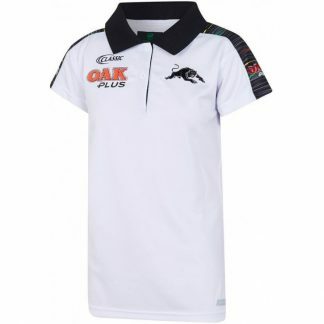 The 2019 Infant Home Set now includes a Panthers Home Jersey and Home Shorts so your little Panther can look just like their footy heroes. 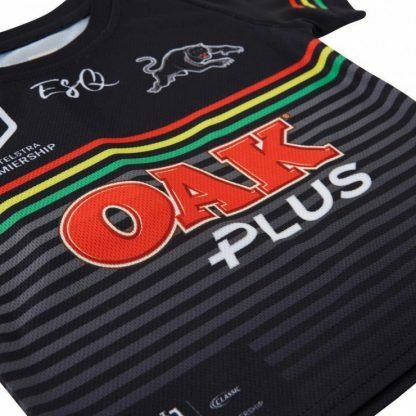 Constructed with Classic Sportswears signature EVOTEK fabrication, that provides you with maximum performance and lightweight endurance that will surely stand the test of time throughout the 2019 NRL season. Completed with embroidered team and sponsor logos on the chest along with a sublimated design that will place your Panthers pride above all.